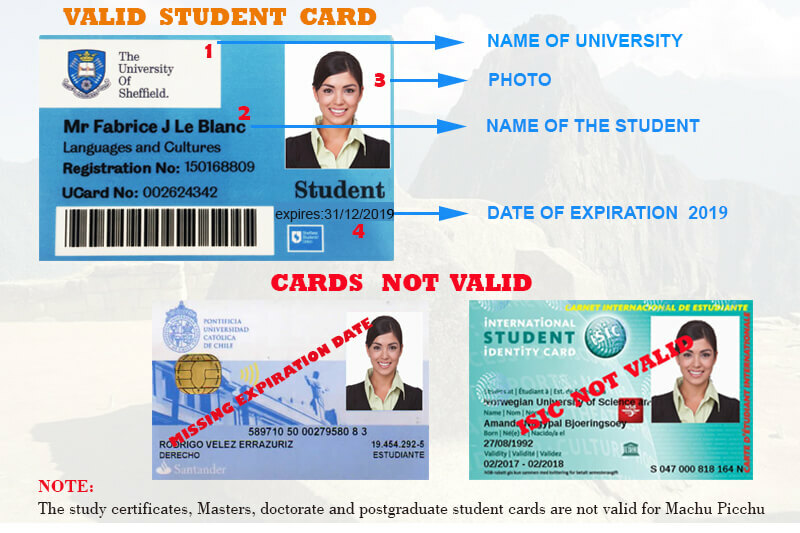 Foreign undergraduate students who simply have a “Student ID Card (University ID Card)” will be able to obtain the student discount on the price of the Machu Picchu tickets. Who can get a discount on the price of the tickets Machu Picchu with your university card? Undergraduate students and institutes from around the world (technical or pedagogical career not less than 2 years old) who have a university id card will be able to obtain a discount on the price of their Machu Picchu tickets. The discount with “university id card” does not apply to postgraduate students and masters. How to book tickets Machu Picchu with your university id card? Then check the box to accept the terms and conditions. Send us the scanned copy of your Passport or DNI (as applicable), along with the SCANNED COPY OF YOUR UNIVERSITY ID CARD (University ID Card). The passport is used to reserve the tickets Machu Picchu and the university id card, to access the discount before the entity in charge of Machu Picchu. Pay for your Machu Picchu tickets. If payment is not made within two hours of the reservation, it will be canceled. And in the case of the Machu Picchu tickets that include the Huayna Picchu mountain, you run the risk of not finding available tickets. You will receive your Machu Picchu Tickets in your inbox within 24 hours of booking, unless you book after 3pm on Friday; in this case, you will receive your tickets next Monday to the reservation. If you need more help, please contact us at info@boletomachupicchu.com. Once you have purchased the ticket there is no refund, check your data and date of arrival before making the payment, the ticket is valid only for the date indicated in your reservation. Machu Picchu tickets that include the Huayna Picchu mountain must be booked several months in advance. We recommend doing it at least 3 months in advance. If you do not get one of the 400 tickets available for this mountain, your best option is the Machu Picchu mountain. If you are a student we are sure you want one of the Huayna Picchu tickets, so know that these tickets must be booked several months in advance, it is the only way to access one of the 400 available spaces. 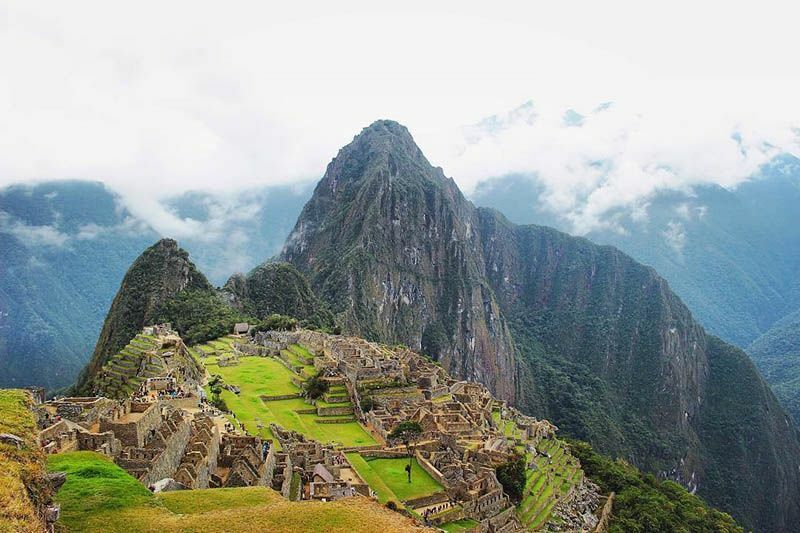 ← Why choose the ticket Machu Picchu afternoon shift?